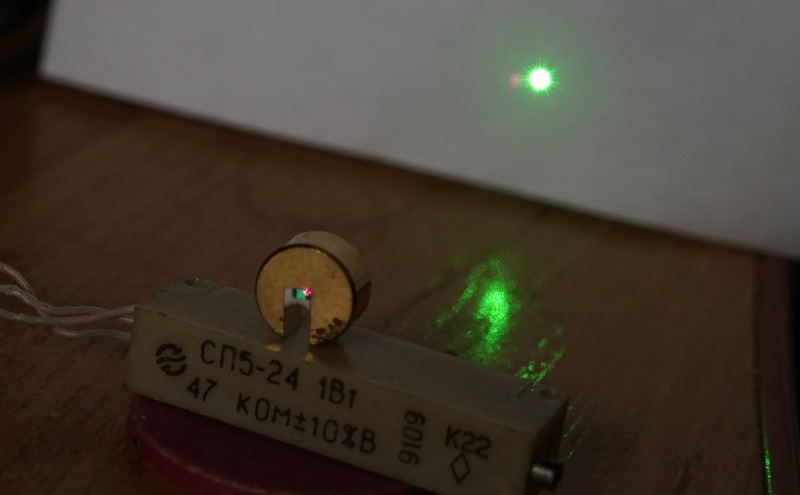 Finally got some time to play with neodymium solid state lasers : ordered 2W IR 808nm laser for pumping and few glued crystal assemblies of YVO4:Nd+KTP (size 0.8*1.3*2.5мм). 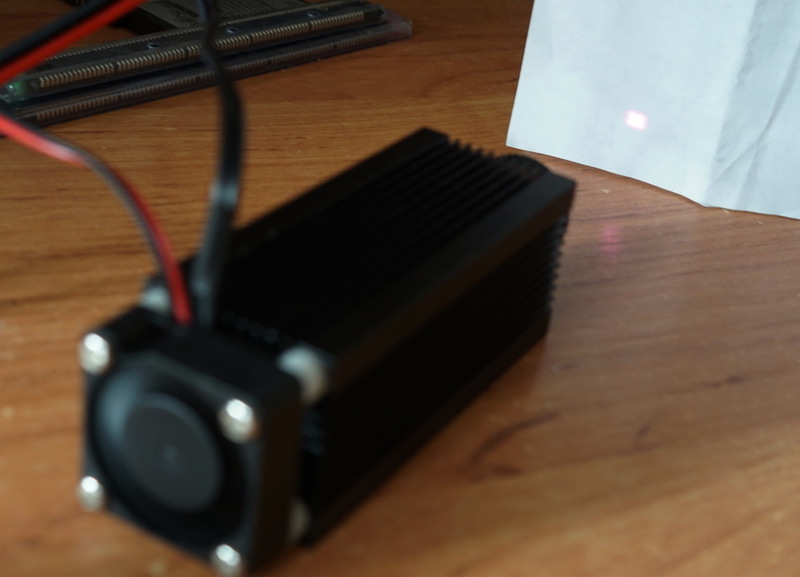 Unfortunately supplier made a mistake and sent 400mW IR laser instead of 2W one and promised to send the replacement. 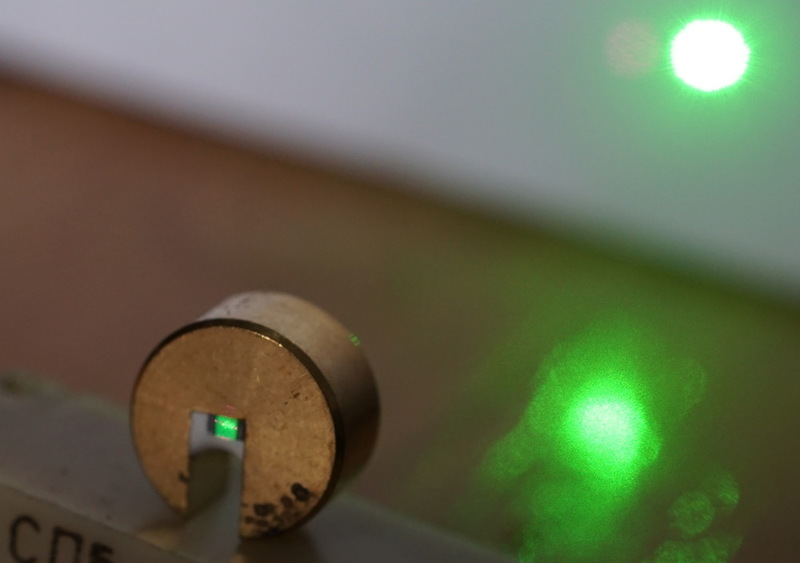 Meanwhile I decided to run few tests on the table with this first laser. When turning IR laser for the first time I was surprised to see red spot. It looked like laser emission (with speckle pattern) but human eye is not supposed to see IR? Apparently eye retains some minimal sensitivity even at 808nm - after wearing laser safety goggles it disappeared. New safety goggles are much better than ones I was borrowing at my work - they are not leaving any non-guarded holes at the top and bottom, so when you are working with high-power lasers diffuse reflections are no longer a worry. 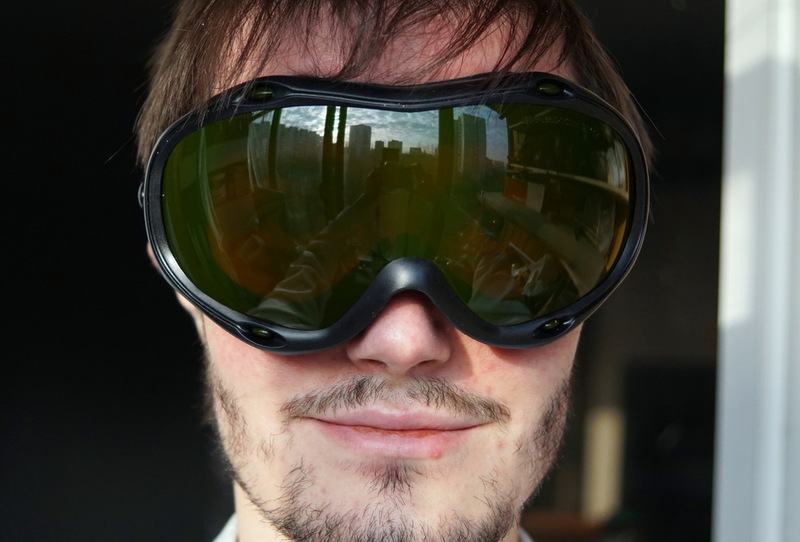 These goggles are blocking 190nm-540nm and 800nm-1700nm ranges. 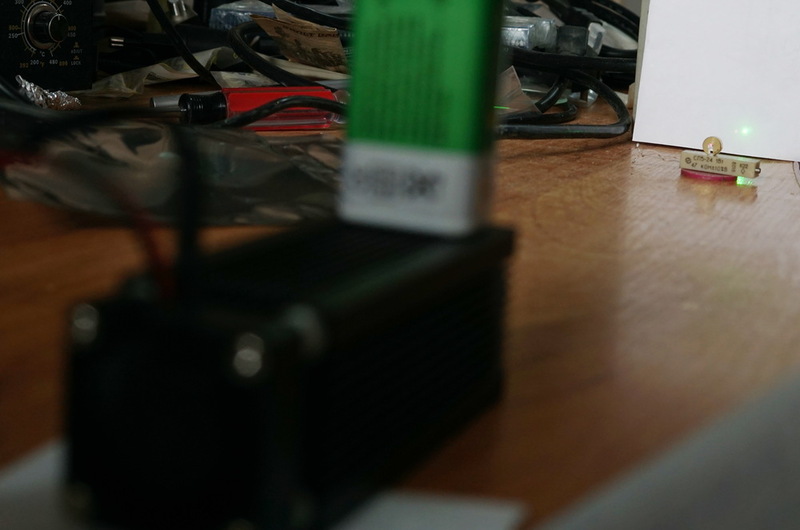 It is hard to estimated generated power at 532nm, but it is at least 10mW. I should also note that efficiency of KTP crystal depend on temperature, so proper setup will require temperature control for crystal assembly.